Mark is a Professor of Public Health Nutrition at Deakin University. He has more than 34 years’ experience working as an academic and practitioner in food and nutrition policy at local, state, national and international levels. Mark’s research interests focus on investigating the science and politics of evidence use in nutrition policy-making, particularly in relation to Dietary guidelines, Nutrient Reference Values and food regulation. He is leading a transdisciplinary research team analysing policy interventions to promote healthy and sustainable food systems. 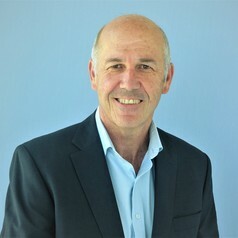 Mark is a technical advisor to the WHO, Chair of the Advisory Board for the Cochrane Nutrition Field, a member of the FSANZ Board, and a former member of the NHMRC’s Dietary Guidelines Working Committee and the joint Australian Department of Health’s and New Zealand Ministry of Health’s Advisory Committee for the review of the Nutrient Reference Values.